How can I write in VAVEL? VAVEL is a media platform available in 7 languages formed by hundreds of micro newsrooms, which has been present in 15 countries, and was born in Madrid, Spain. For several years we have tried to bring stories, reports and we wanted to offer the reader words about the sport we live, based on the quality that we think sports press deserves. 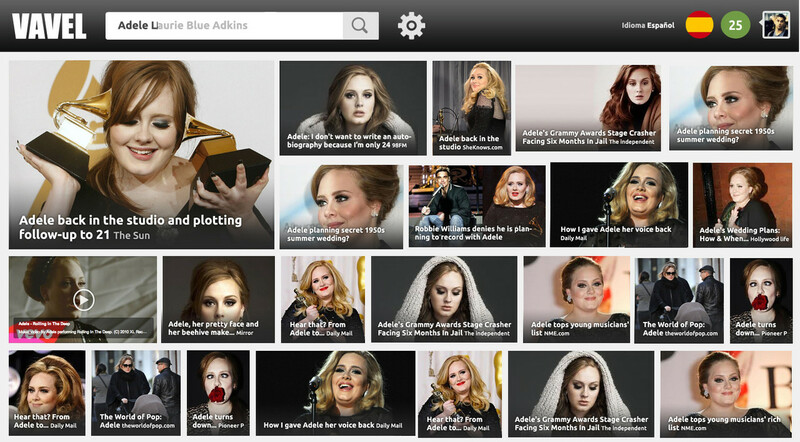 From the first article until today, more than 770,000 articles have been curated and published. Also, we hosted online radio shows and the first digital sports magazine in Spanish, which had more than 1 million readings in Issuu. We became the 5th most visited sports newspaper in Spain without any economical resources, but with a lot of will and determination. We have produced online TV shows where we interviewed sports world champions, until the latest achievement in 2018: the evolution of our platform in the shape of our news search engine with our own technology called #NewVAVEL. Our work has been recognized by the leading sports leagues and associations worldwide. In FIFA competitions (Brazil 2014 and Russia 2018 World Cups); the Olympic Games (London 2012); UEFA competitions such as the Champions League or Europa League. National football leagues: LaLiga, Premier League, Liga MX, Saudi Professional League, and Major League Soccer. Also major American sports leagues: NFL, NHL, and NBA. FIBA, ATP and WTA, Motorcycling World Cup and Formula 1 GPs, up to the Indonesian Soccer League, where our editor, Gatot is part of the staff of the Football Federation of the Asian country, among many other influential members on our staff. VAVEL participated as media partner of the Golden Foot Award having Javier Robles as a member of the voting jury. Likewise, VAVEL was Comunio's football fantasy media partner, and current partner of Betrium, Blockchain sports betting house and SofaScore, sports live score app. VAVEL was selected by the Chamber of Commerce of the Spanish Government in its Spain Tech Center immersion program in Silicon Valley as one of the best start-ups in Spain with the greatest potential to settle in the North American market at the end of 2017 and where we are looking for financing to formalize and evolve our value model towards the members of the platform. It has been a real honor to arrive from a room in Madrid to so many devices and readers all over the world. Why is it called VAVEL? Our dream was to create the first newspaper in all languages, The domain with B (Babel) was registered, and that's why it was called VAVEL.com, with V.
From the first reader who visited our then tiny dream, we have managed to deliver our content to a global audience of millions of people for several years. We believe that our secret is that we still enjoy it and value it with the same enthusiasm as the first day. - The values of group and of growth that we learned, live and contribute sports to our societies as a simile to life. - Respect for the rival, defense of nonviolence and non-racism in sport. - Be neutral and act with empathy. Without dogmas. In VAVEL we recognize that writing is an exercise where the protection of the rights of the people is constantly in conflict with the public receiving a formed opinion. So we are like the entire content sector exposed to errors that are impossible to correct all the time. The daily monitoring of the project by our readers is the best opportunity to monitor and create constructive criticisms that help us grow and value our mistakes and successes. Our philosophy will always be to listen to our audience and their constructive criticism. At VAVEL we have always been committed to the rigor, accuracy, and in-depth coverage of topics and news. The content published on our platform is strictly reviewed by a team of moderators that chooses and filters the articles that are published or discarded. We do not believe that the so-called fan journalism can be considered journalism since it is a euphemism for the production of biased and directed information. The members of our platform receive training and mentored on the basis of journalistic documents that review all types of genres. VAVEL has established itself as one of the most valued independent media companies in Europe and America, a natural habitat for bloggers, journalists, students of all themes and writers who show and develop their qualities with the intention of giving prestige back to sports journalism through any type of multimedia format (web, audio, video or magazine). We founded VAVEL to promote opportunities and give voice to members of the industry that currently have not had the opportunity to have it. Can I work at VAVEL? Although we would like to, we currently do not have the capacity to offer paid work positions in VAVEL. The people who write have the obligation to protect our opinions, but we also have a duty to check and establish that the sources we use are reliable and that the material has been obtained in an adequate manner. In the case of journalists, we have the obligation to know how to contrast and filter statements in stands, social networks and other contexts that tend to be extreme. Our team believes in the depth of content above its superficiality. We ask and actively ask our staff to respect their contents and verify any information or affirmation according to the criteria of The Trust Project. Being VAVEL a place that was not born from an office as most communication companies are born, and given the crisis in the middle market, we have added to these great difficulties in the very structure of the industry. We suffered Black Hat SEO with various attacks of PBNs fakes in our pare off-site SEO (of the most important in the face of Google), that someone with bad intentions went well. Externally linked to thousands and thousands of articles on our website from hundreds of thousands of links and domains that are rotating, which have made a roller coaster our traffic from Google since 2014. There are 500,000 to 1 million spam links that someone has been targeting us from fakes newspapers and of Russian ownership, but .com domains, which makes them difficult to detect (thousands of sites made in Wordpress tagged by Google as spam that self-generated by software its contents, being artificial) and by its expertise being difficult to identify at the beginning and to remove now with our current resources. 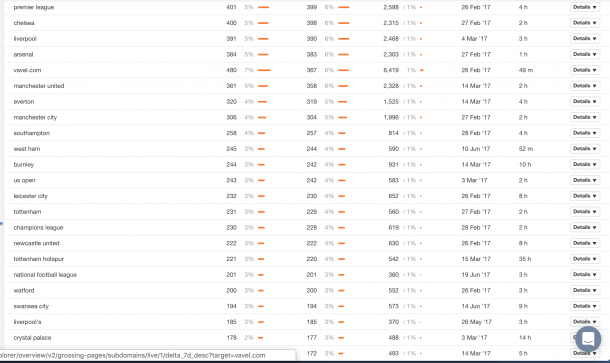 Here is a small sample of the turbulent backstage of the network and the competition: this is part of our spam links profile, all these links are spam from the fake blog network, AKA "Private Blog Network". Google thinks when this happens that the fault is the web to which they point (in the slang it is called "money site"), and it penalizes without stopping every time it refreshes its data to the "money site". We are working on a solution and we hope to delete this paragraph from here soon, since it is very important to achieve a business model to monetize and find the profitability that every company requires, although we are also joined by a stronger passion and that the internet has allowed. To make journalism democratic and open to the world. VAVEL.com does not currently have a paywall or subscription model, but we are working on the development of technological platforms for micro-patronage and other advertising. VAVEL is edited by the company Etemenanky Technology SL. Revenues are currently being reinvested on the growth plan that focuses strictly on the technological development of the platform. Despite the potential of the platform, we have not reached the point of saying that we are where we want to be. That's because of the SEO problem which hasn't allowed us to find the stability required to professionalize our staff. However, we will continue working on it with determination. 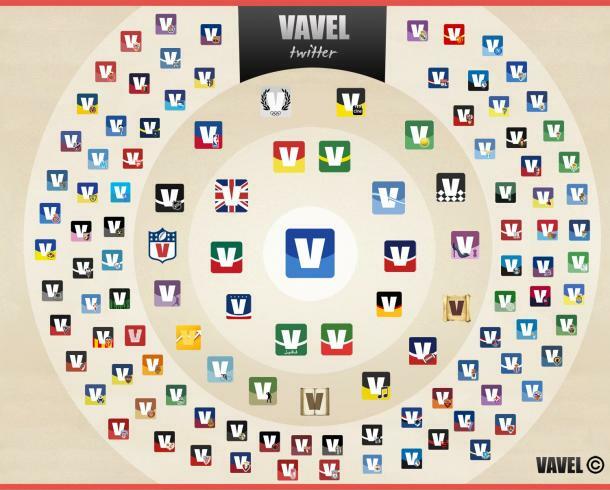 How does VAVEL currently monetize? VAVEL monetizes with online advertising. Currently, VAVEL does not have advertising on its homepages, search tool, author, tags or categories pages. We only have one mobile block in mobile and two in desktop format, which is served by Google Adsense. Our intention is that the reader focuses on adequate reading and does not have an invasive user experience. This advertising works by click. No matter how many impressions there are, if the visitor does not click on the ad, it does not generate any economic return for VAVEL. Each click on an Adsense ad banner, in the Spanish market in the sports niche, is worth 0.03 cents. We kindly ask you to attach VAVEL.com to your whitelist in case you are running an ad-blocker software, since the project depends on the ads' clicks that you can generate. VAVEL is committed to equal opportunities policies and therefore welcomes author's journalism without distinction of religion, gender, race, sexual orientation or nationality. If it was the case that you consider that your person or company has been treated unfairly in an article published by VAVEL, following the practices and our Code of Ethics, we will attend your arguments in the same email address and an assessment will be made with the intention of being fair. In addition, you can find the general accounts of VAVEL Spain on Facebook and Twitter. Each edition has its staff page. It has been a pleasure to have explained to you what VAVEL is and that you have listened to us.